Attention Batman, this is how REAL detective work is done! 2 Responses to Attention Batman, this is how REAL detective work is done! Is that guy wearing a cookie sheet on his chest? 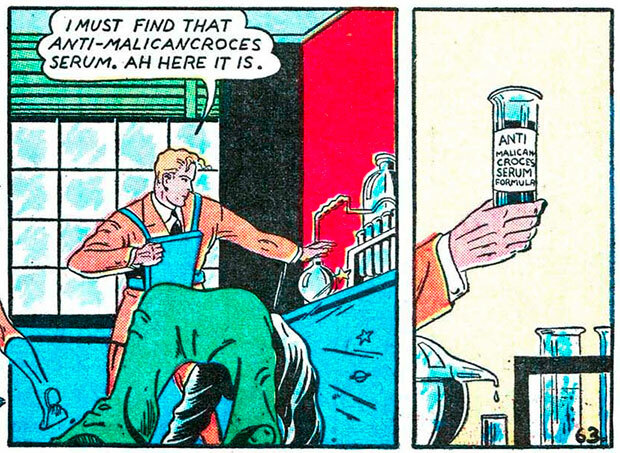 I guess the serum is for protection for when the doctor’s probing the guy bending over. against bad bird cross? because harpies shouldn’t cross here? against S.A. city metal food container JIM CROCES? because no one in the third world should save time in a bottle or a can?